Current Formula One CEO Bernie Ecclestone, who obviously wants to keep some control over Formula One, denies that any changes are coming to the sport’s leadership soon. What, did you expect him to say anything different? Well, I can assure them that as far as the company is concerned it stays as it is - there will be no change. There can be different shareholders - and the shareholders that are now coming on board are probably going to be more commercial than CVC were. That is about it. Well, dadgum shucky-darn. That makes both parties who are now denying Bernie is going to give up any of his roles with F1 any time soon. We have an agreement with the teams - and that will stay as it is. And there will be the usual discussions for the renewal of the agreement with the teams. It is a commercial agreement. Let’s see what happens. 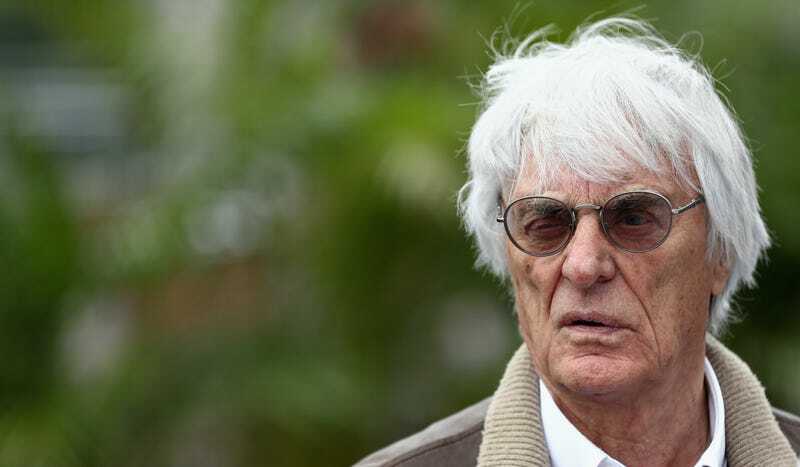 Ecclestone signed a three-year contract with new series owners Liberty Media to stay on as Formula One’s CEO while working with new chairman Chase Carey. That would also end right around 2019, so his timeline seems to line up. In the same interview, Bernie also mentioned that the status of the German Grand Prix is still uncertain because the promoters are having trouble making it financially viable, and doubled down on his utterly insane idea of building walls closer to the track, so yes, it sounds exactly like F1's up to business as usual.